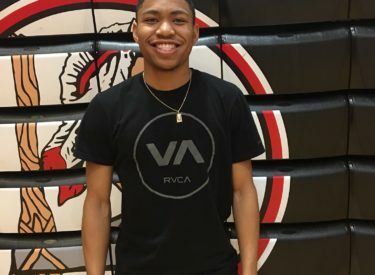 Liberal senior point guard Kace Vongsakda is the Hay Rice and Associates Athlete of the Week. Vongsakda leads the Redskins at 17 points per game. He scored 23 in a homecoming loss to Hays on Friday and 16 in a win over Cimarron on Tuesday. He has scored in double digits in all eight games in which he has played. Vongsakda was also a homecoming king candidate last Friday. He says he is considering running track in the spring. Vongsakda and the Redskins play at Great Bend Saturday night at about 7:45 on 1270 and kscbnews.net.